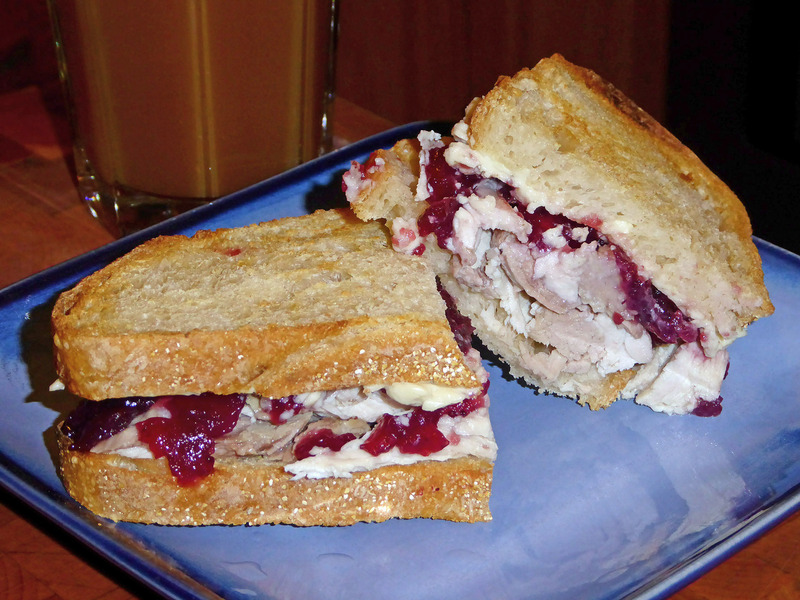 Tonight’s dinner – white and dark turkey, whole cranberry sauce, and Gournay cheese with garlic and herbs on toasted sourdough, accompanied by a glass of cider – was almost as good as last night’s. A tad bit less effort, too. Good results yesterday: Five wins, one tie, one loss. Neutral: The peas with mint and finely shredded wilted lettuce were good, but I missed my usual butternut squash with nutmeg and white pepper and will restore it at Christmas. Loss: I cannot recommend slow-roasted potatoes for making mashed; there was a graininess that refused to be riced away and the taste was not right. To be honest, if there had been a store open yesterday where I could get a half-dozen potatoes, I would have tossed the lot and started again. Back to the usual boiling or steaming next time for silky smooth and pure potato-flavoured mash. 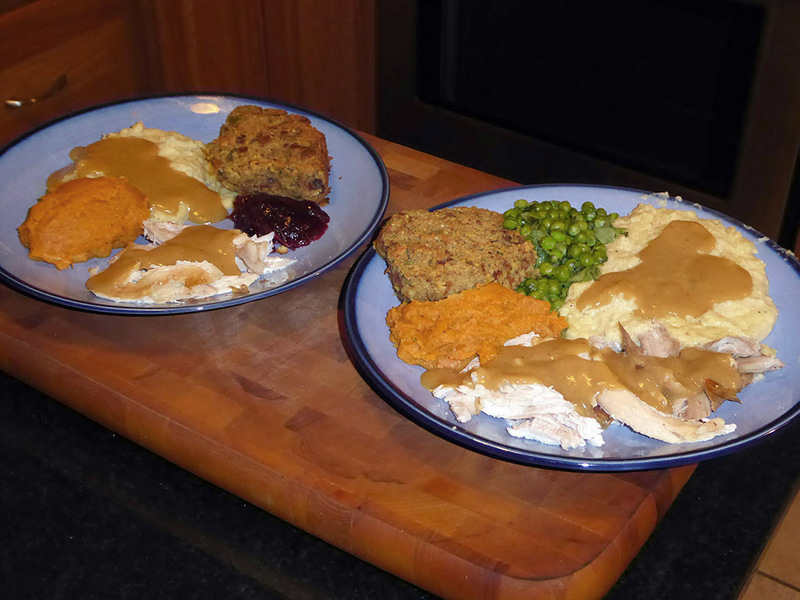 This entry was posted in Cooking, Uncategorized and tagged Thanksgiving, turkey.